WEST LAFAYETTE, Ind. –- Randy Cohen, author of a weekly ethics column for the New York Times Magazine, will speak Nov. 18 as part of the Purdue University Series on Corporate Citizenship and Ethics. Cohen’s talk, “How To Be Good,” will begin at 7 p.m. in Stewart Center’s Fowler Hall. Free and open to the public, it is presented by the Krannert School of Management and the College of Education’s James F. Ackerman Center for Democratic Citizenship. In addition to the New York Times Magazine, Cohen’s “The Ethicist” column appears in 40 other U.S. and Canadian newspapers. He also writes “Moral of the Story” for the Times online. His first professional work was writing humor pieces, essays and stories for newspapers and magazines, including the Times, the New Yorker, Harpers, the Atlantic and Young Love Comics. For several years, he wrote “The News Quiz,” a regular column of topical comedy, for the online magazine Slate. 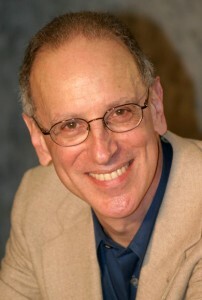 He won three Emmys as a writer on “Late Night With David Letterman.” He won a fourth Emmy for writing on “TV Nation,” for which he also was co-executive producer. He was the head writer on “The Rosie O’Donnell Show” for its start-up and the first six months and also co-wrote the theme music. Most recently, his play “The Punishing Blow: An Illustrated Lecture Delivered by Order of the Orange County Criminal Court,” was produced in New York. The Purdue Series on Corporate Citizenship and Ethics began in 2003. Speakers chosen from a variety of disciplines discuss business ethics and the role citizens play in corporate ethics, providing an overview of the impact of corporate ethics on business, the economy and society as a whole. Cohen’s talk is sponsored by Purdue Employees Federal Credit Union, Burton D. Morgan Center for Entrepreneurship, and Karl and Kathy Krapek. Mitch Jackson, FedEx vice president of environmental affairs and sustainability, will appear on April 7 as the next speaker in the series.